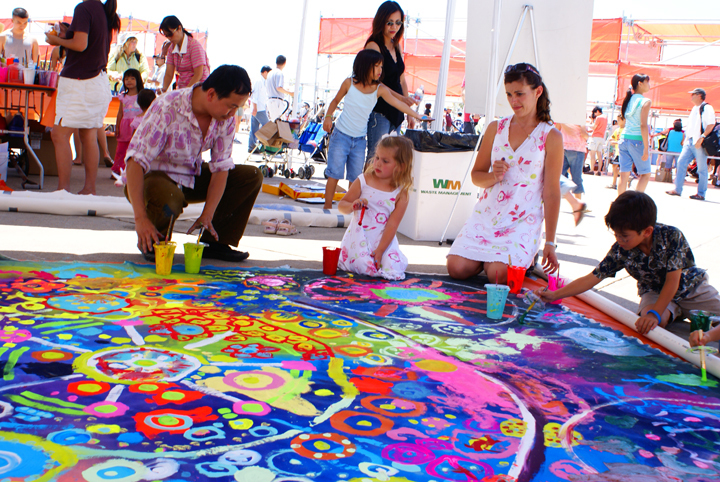 Circle Painting is about connecting with people through Art. Collaborating with a group of people to create together.  Paint BIG SHAPES first! Fill in the shapes and save details for last.  Start painting from the center, and gradually move outward. Make sure the shapes touch, overlap, or connect with each other.  Create patterns by repeating a shape at least 3 times in different places and in different sizes.  Breathe, relax, and have fun.  Rotate at least once during the painting process.